We think this smart sock is the most innovative baby monitor currently on the market. Why? Over the years new parents have all faced the fear of bringing home their baby for the first time and anxiously watching over them as they sleep. 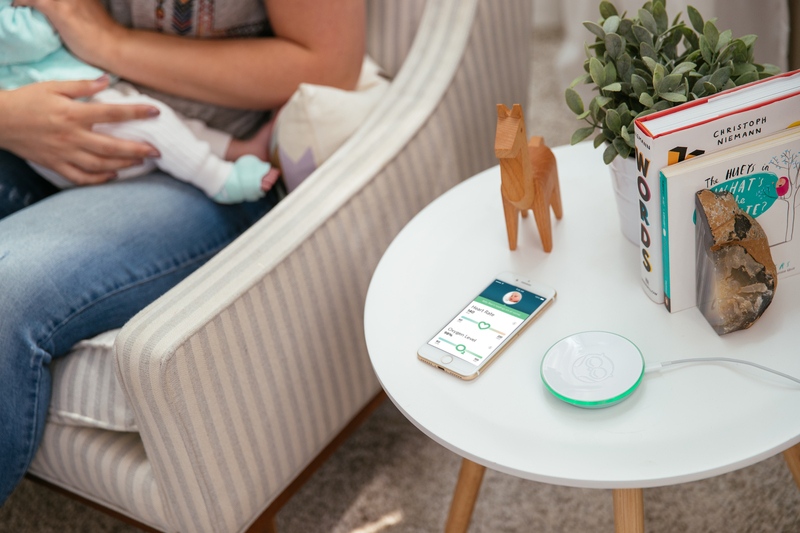 The Owlet Baby Monitor is a little smart sock that your infant wears to sleep that tracks their heart rate and oxygen levels. In addition to real-time tracking of your baby’s heart rate and oxygen levels it also notifies you if your baby falls outside the preset zones, they have come up with a new way to keep tabs on your baby giving you peace of mind throughout the night. The notification will go to your mobile phone as well as a loud beeping on a docking station set up in your home. Monitors Heart Rate: The Owlet Smart Sock uses pulse oximetry to track the baby’s heart rate and oxygen levels. Notifies: In addition to monitoring your baby it notifies you if your baby’s heart rate goes too low or too high or if their oxygen levels start to drop. Connected to Your App: One of the other convenient features is that you can track your baby’s levels in real time through an app on your phone. Monitoring from a Distance: Anyone can download the app and be given credentials to log in and check on your baby. So if you have a relative who is knocking at the door to check on their new little-loved one every day this could be a way to give them more peace of mind. Comfy Sock! The Owlet Smart Sock is lightweight and soft. It can be worn under socks or sleepwear while your baby is sleeping. Grows With Baby: One of the great things about the Owlet Smart Sock is that it comes with 3 different sock sizes so that you can use it for your baby’s entire first year. Easy to Clean: Another important feature to note is that it is easy to wash and keep clean.